Just in time for the gifting season, The New York Times published a guide to choosing apps for your kids (including Tinybop apps 珞 that you can find on the App Store and Google Play Store). The story closes with this sweet reminder: “A parent can really be a bridge to transfer any learning an app has to the real world… Co-use and co-play — that is one of the most powerful ways that apps can be educational.” After all it’s always the season to be together, to learn together, to play together. Read “How to Choose the Best Apps for Your Kids” here. 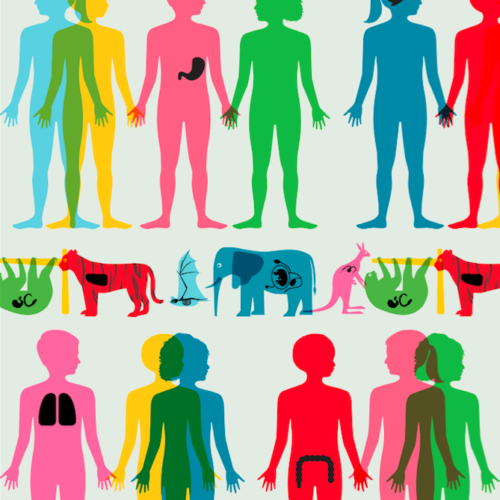 The Human Body app lets kids see what’s under their skin — what’s otherwise invisible to them. This knowledge can alleviate fear and empower kids — whether or not they’re feeling well.